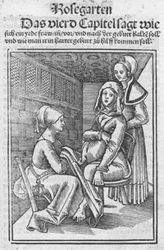 The earliest writings about forceps describe the extraction of dead infants to save their mother's life. There are reports of successful deliveries of live infants from 1500 BC. In the 1600s, Chamberlen invented the modern-day forceps, but they were kept a family secret for several generations. Their use became more widely accepted from the 16th century. 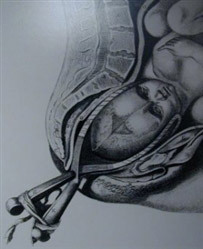 In 1745, Smellie described the accurate application of forceps around the fetal head in relation to position and developed the 'English lock'. In 1845, Simpson developed the cephalic and pelvic curve. To date, there are more than 700 types and shapes of forceps.